Bringing together a diverse cohort of experts, STEM in Early Childhood Education explores the ways STEM can be integrated into early childhood curricula, highlighting recent research and innovations in the field, and implications for both practice and policy. 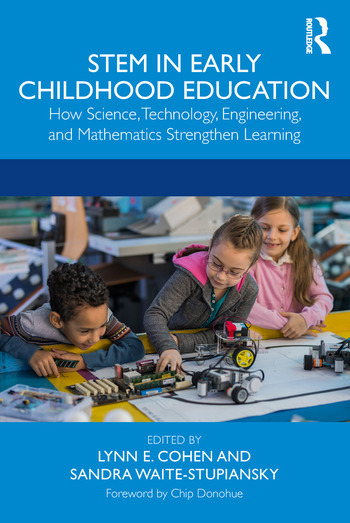 Based on the argument that high-quality STEM education needs to start early, this book emphasizes that early childhood education must include science, technology, engineering, and mathematics in developmentally appropriate ways based on the latest research and theories. Experienced chapter authors address the theoretical underpinnings of teaching STEM in the early years, while contextualizing these ideas for the real world using illustrative examples from the classroom. This cutting-edge collection also looks beyond the classroom to how STEM learning can be facilitated in museums, nature-based learning outdoors, and after school programs. STEM in Early Childhood Education is an excellent resource for aspiring and veteran educators alike, exploring the latest research, providing inspiration and advancing best practices for teaching STEM in the early years. Lynn E. Cohen is Professor at Long Island University, USA. Sandra Waite-Stupiansky is Professor Emerita at Edinboro University of Pennsylvania, USA.